It’s been relatively a good place to live. The washer and dryers aren’t great I’m the units, however I’m happy to have those at least. The pools and guns are great and the bike shop has been helpful. The staff are really nice and accommodating. Hi Kassandra R., thank you so much for your positive comments about Parkhouse Apartments! 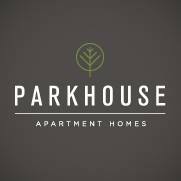 I have lived all over and in a few apartment complex's, Parkhouse Apartments is the only one I have actually loved. Lots of great amenities- dog wash station, computers, games. Very close to many food places, malls, gas stations etc. Tamzyn S., we are so happy to read such a great review about Parkhouse Apartments! We can't wait to see you again, have a great day. It’s a very clean community. The employees do a great job of making sure everything is picked up. This also includes snow remova. I highly recommend living here. Haven't had any problem since I moved in. The area is ver well maintained and staff is friendly. Parking can be hard to find depending on what time you come home but other than that everything is good. There is dog poo everywhere! It is absolutely disgusting and has to be some kind of hygiene violation for the city. No accountability? Why? There are communities that fine residents for not picking up after their pets. Flat out irresponsible. It is discouraging to learn of your experience with us. Your feedback helps us improve and we will strive to do so. It worked out fine while I was there. The resident's were alot younger than I expected so there was a lot of loud partying on the weekends. But other than that it was ok for the time I was there. I found the perfect place for my first apartment!!! I found everything I could ever want in one place. I love being so close to the outlet mall and close to work!!! We love Parkhouse. Centrally located but out of the hustle and bustle of the city The staff is always s quick to address issues and always so friendly. Wish it was a little quieter, and people picked up their dog poop. Other than that, not a bad experience. Fun pools, nice gyms. Close to tons of food and shopping. Great community with great amenities. Nice location by all the new shopping areas. Only complaint would be is that the property needs to be maintained a little more. Nice apartments with a lot of great amenities. Great location right next to the shopping mall. Only thing that could change is the property could be maintained a little better. Paying rent is pretty easy and anytime you have questions they answer. Anytime anything happens or anything breaks it takes less than a week to fix. There is reoccurring problems with our fridge, but not a huge deal, other than that our experience here has been great. Love the amenities and the apts are beautiful. However, parking is terrible and below neighbors complain about normal living noises during day hours. Great Location and the staff is very friendly and helpful. The only complaint is the parking, if you get home late it is difficult to find a spot. Absolutely love living here! First of all, the apartment itself is beautiful. It's super updated and modern with a lot of space and storage. The location is also great being right next to I25 and several shopping centers. I absolutely love this community. I've been a resident for almost 2 years and have never had a bad experience. The office and maintainace staff are friendly and helpful. Office staff is amazing! Very friendly. Maintenance is also great! Very beautiful Apartments! Parking is a little hard to find, but over all great Apartment Complex! So far everything has been great. my husband and I have not had any problems other then being right next to the stairs. We hear everything and every time someone comes down the stairs it sounds like they are running. I would also suggest putting out a letter to remind people to pick up after their dogs. We have seen a lot of people walk their dogs and not pick up after them. Other then that, everything has been great. Hi Kristina, thank you for taking the time to let us know about your recent experience. We are disappointed to hear that you are not fully satisfied. We are adding another team member to our service team to help with the pet owners who do not pick up after their pets. Thank you again for your time, Kristina. Best, Beth V. Community Manager Parkhouse .